Aliens: Colonial Marines is a forthcoming first-person shooter survival horror video game being developed for Microsoft Windows, Xbox 360, PlayStation 3 and Wii U by Brothers-in-Arms creator, Gearbox Software. The game is scheduled to be released on February 12, 2013 and is to be published by Sega. 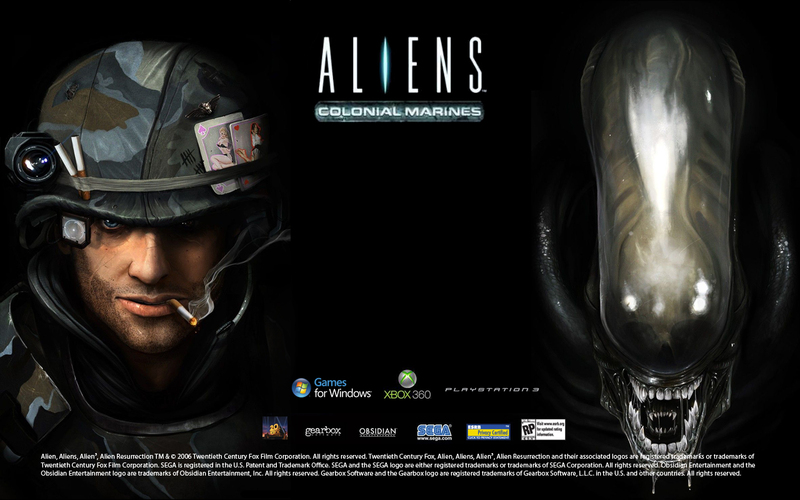 Aliens: Colonial Marines is solemnly based on the characters and creatures of the film Alien. 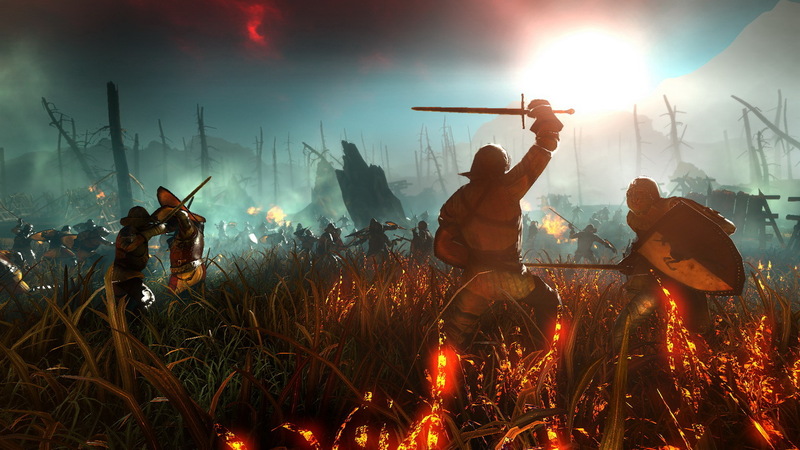 The game features a Red-ring engine with a new renderer. 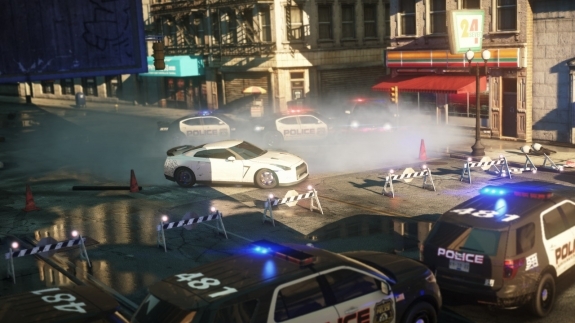 Need for Speed: Most Wanted is an upcoming 2012 open-world racing video game, being developed for Microsoft Windows,PlayStation 3 and Xbox 360 by Criterion Games and published by Electronic Arts. 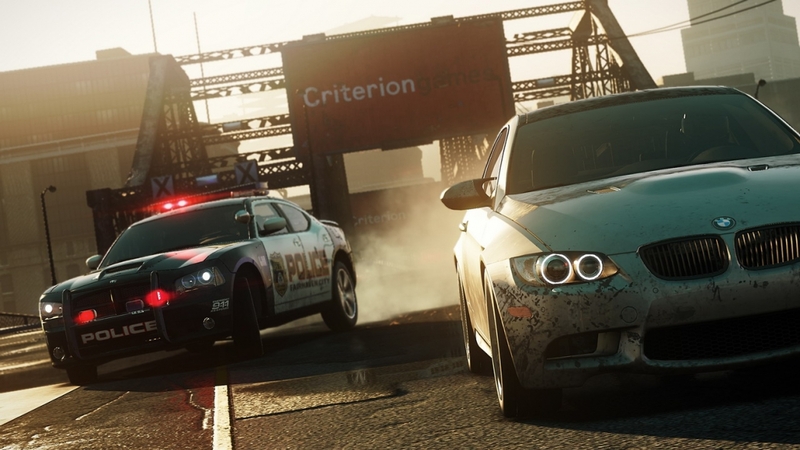 The game is the nineteenth installment in the long-running Need for Speed series. 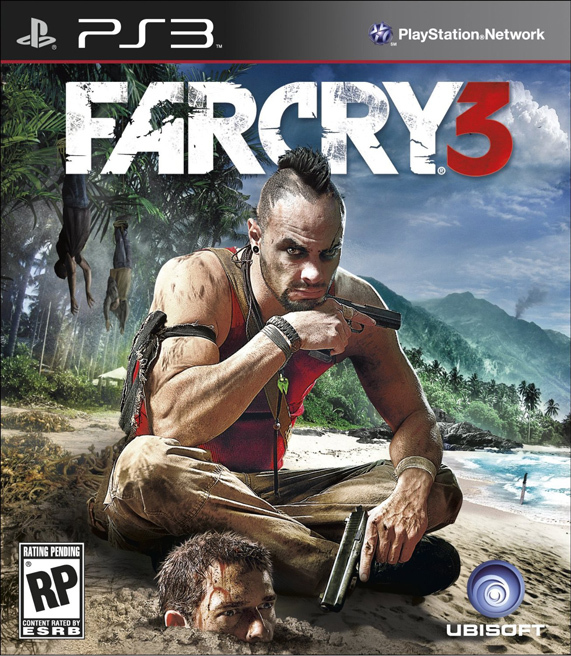 The game is set to be released worldwide on October 30, 2012. Experience the real-world football FIFA 13, a whole new revolution in gaming world, defining new attacking intelligence with its creativity; Players can create more opportunities for both defense and offence. There are all new attacking possibilities in FIFA 13. It indubitably can be called as Heart-Beat of FIFA (revolution of game changing feature) FIFA 13 is a whole new world for football fans and it is inspired by the world’s best football player, Lionel Messi.The graphic, design and the features it provide are simply awesome. The best FIFA game in history I would say. It indisputably has outstanding features ever installed in any game. which are, With attacking intelligence player can turn defense into attack in the wink of an eye, Battle for possession, Attack with creativity, Player impact engine, Precise Dribbling and mobility, Attacking intelligence, Tactical free kicks. 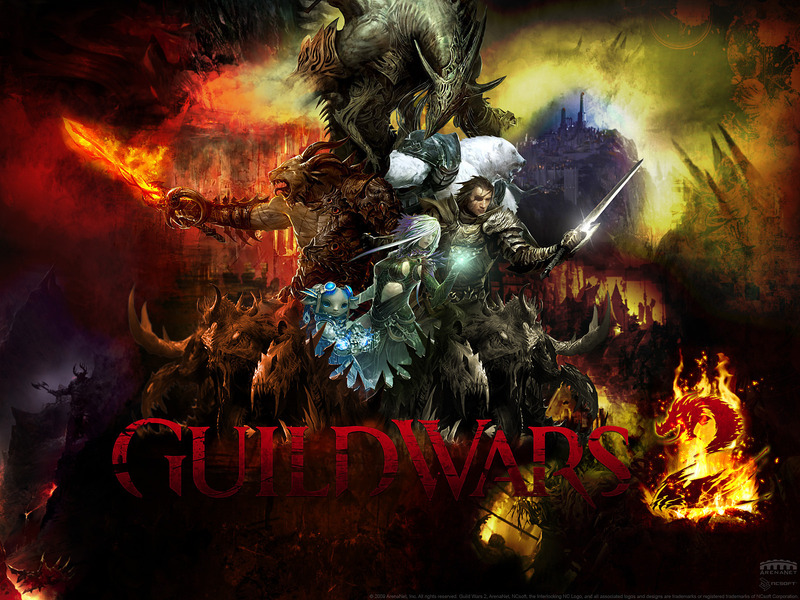 Guild Wars 2 is an upcoming role-playing game for Microsoft Windows and is currently under development by ArenaNet. The game will be published by NCsoft. The game is set to be released on August 28, 2012 and the guys who already have had pre-ordered the game will have it by August 25, 2012. Darksiders II is forthcoming Hack & Slash, action adventure game which is developed by Vigil games and published by THQ. 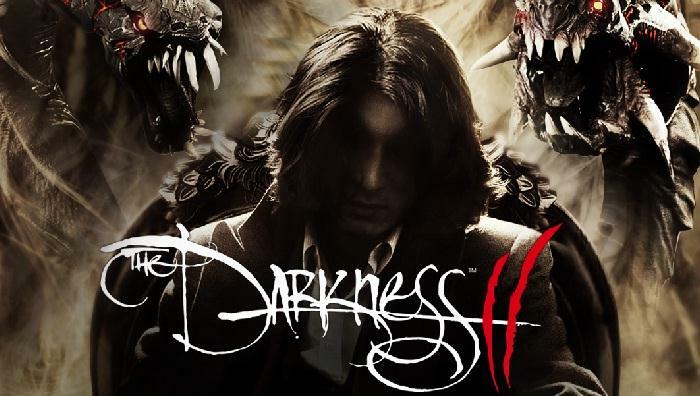 It is the follow-up to Darksiders and is anticipated to get launched in August 2012 for all the top platforms like PlayStation 3, Xbox 360, Microsoft Windows, & Wii. 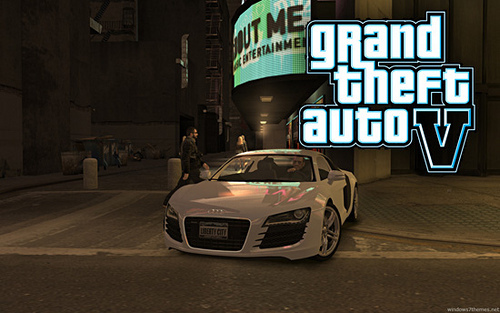 ROCKSTAR GAMES PRESENTS Grand Theft Auto V, a next installment in Grand Theft Auto series developed by Rockstar Games. The release date of the game has not yet been announced, but it would be consistent with its prior releases. 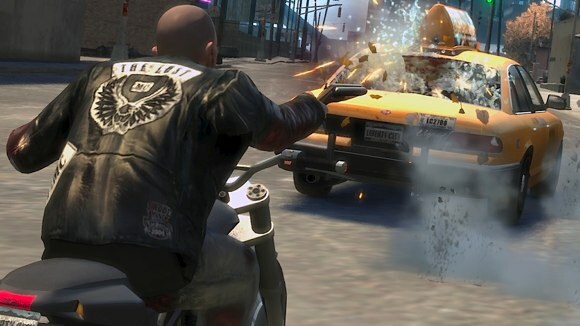 Grand Theft Auto V is being developed for Xbox 360 andPlayStation 3. There is no information about development for Wii U or Windows Platform. Once again the game begins its victorious thrilling striking journey. Dan Houser (co-founder and the co-writer of Grand Theft Auto V) at Rockstar games has revealed that the game will offer a multiplayer integration support with Max Payne 3, and also said that multiplayer is a more important part for our future games, will be making multiplayer deeper and richer. I ain’t Afraid of Ghosts!! BE A FUTURE SOLDIER!! It was developed by Naughty Dog and published by Sony Computer Entertainment exclusively for PlayStation consoles. 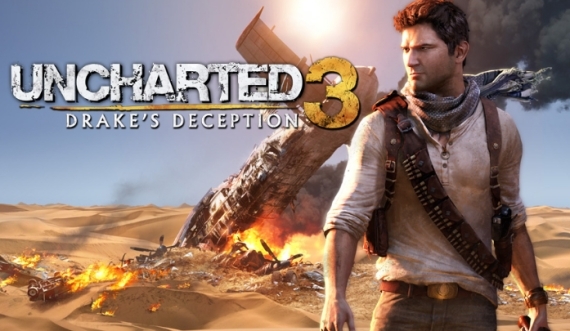 Uncharted is an award-winning action adventure platform video game. 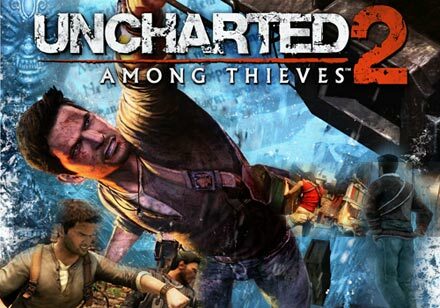 Uncharted series is nourishing combination of action-adventure and platform elements with a third person perspective. 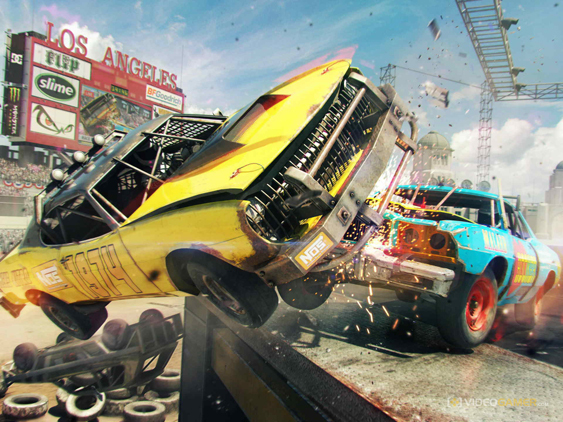 And gameplay offers the player extraordinary acrobatic features… Read More…. 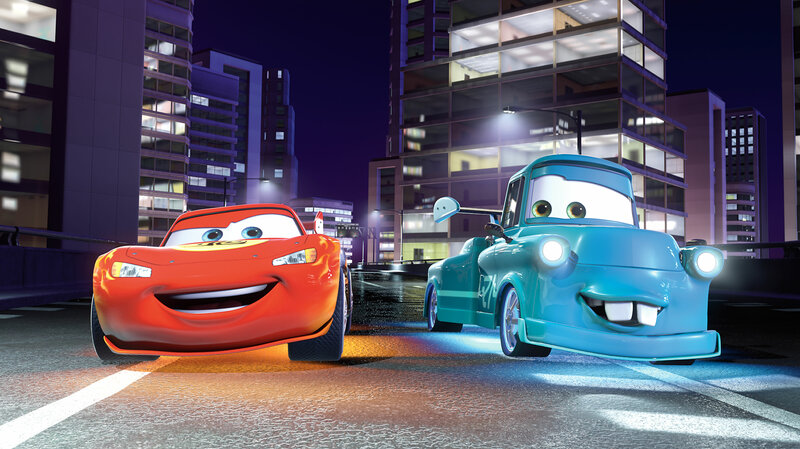 Disney Pixar Cars 2 is a third person world-class racing game, fundamentally based on the movie Cars 2 and developed by Avalanche Software. 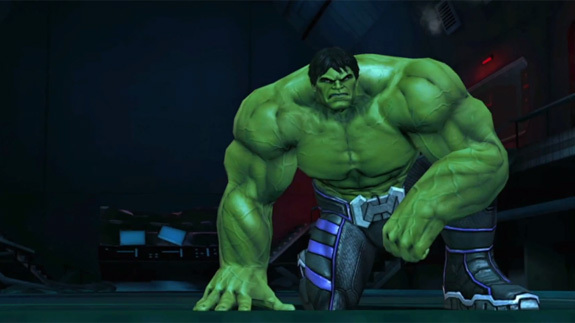 It was released by Disney Interactive on different major platforms such as PSP, Xbox 360. 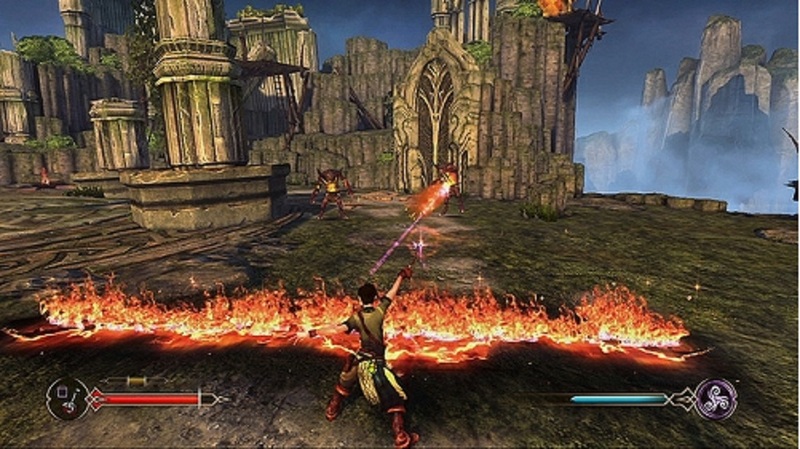 Read More…..
Sorcery is a 2012 video game, generally considered as one of the first of the Second Generation Video Games. This Game simply gives you the World’s best gaming experience with its terrific graphics and its war elemental spells tactics. Read More….. Experience the real-world football FIFA 13, a whole new revolution in gaming world, defining new attacking intelligence with its creativity; Players can create more opportunities for both defense and offence. 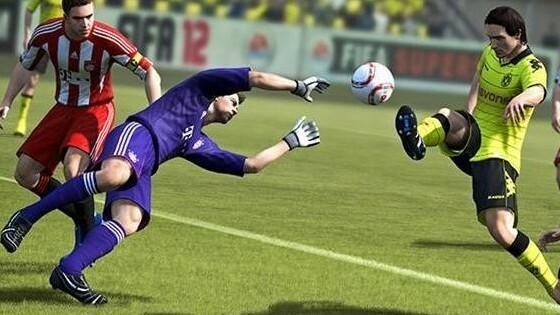 There are all new attacking possibilities in FIFA 13. Read More…..
It’s true that we have not heard anything official about Xbox 720 (Microsoft’s Next Generation Video-Game Console).I guess the day is not far away that Microsoft itself reveals its next generation gaming console Xbox720’s launching report, however Microsoft has already ruled out of the fact of making any announcement in 2012. Read More…..
Nintendo GameCube is Nintendo’s sixth generation gaming console. It is an advancement to Nintendo 64. 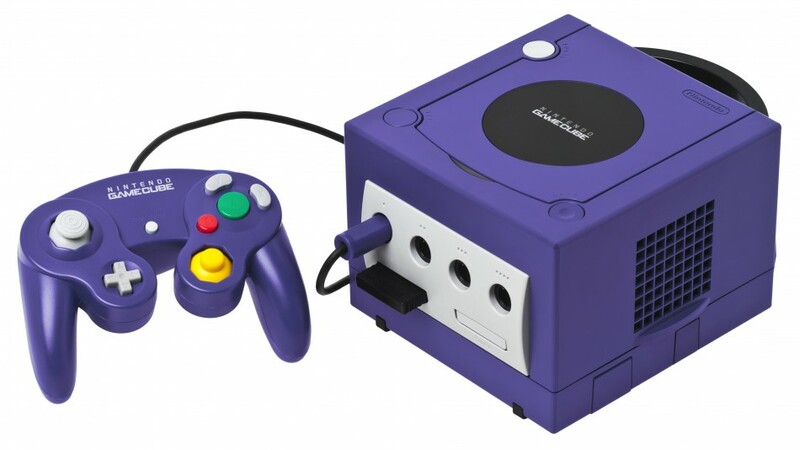 The Nintendo GameCube became the first Nintendo gaming console to use optical discs as its primary storage medium. Read More…..
Kaillera is add-on to already existing arcade emulators like MAME, Atari, N64 etc and is designed to aid networked multiplayer play for these emulators. 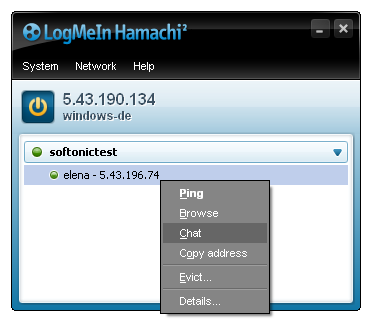 And like most network multiplayer gaming systems, Kaillera is also implemented to work on client–server architecture. 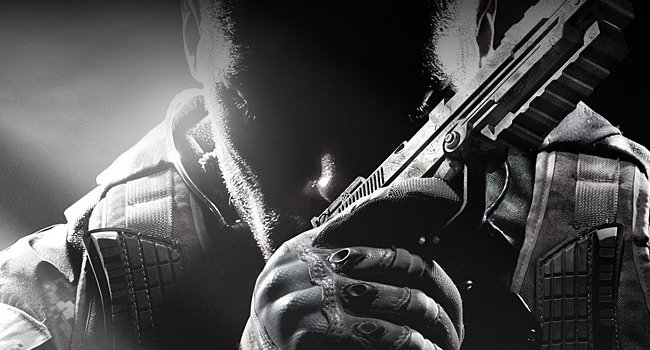 Read More…..
An upcoming first person shooter video game developed by Treyarch and Published by Activision for Microsoft Windows, Xbox 360, PlayStation 3, Wii and Wii U. 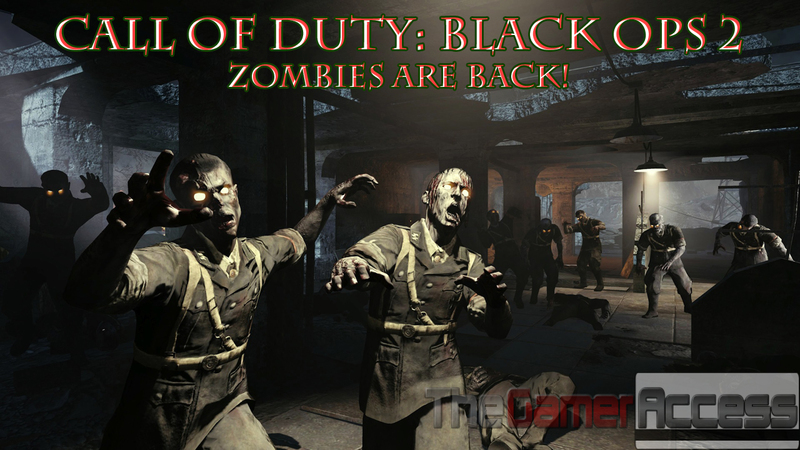 The Zombies mode will return for Black ops II with its own campaign. Read More…. 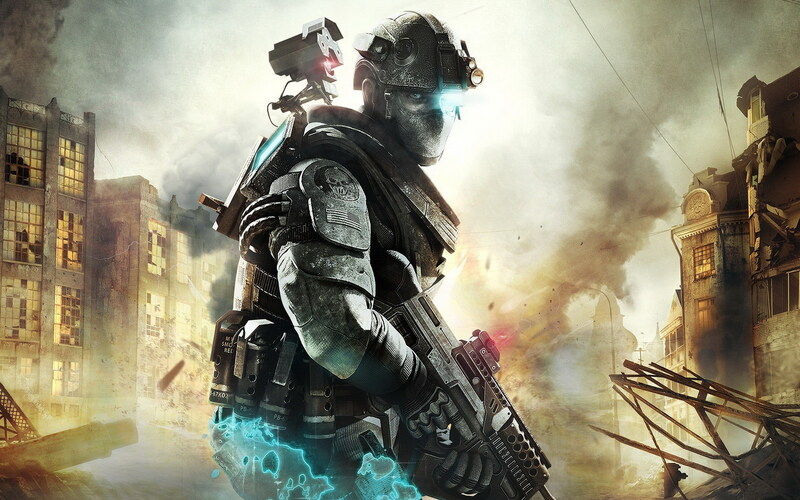 An upcoming open world first-person shooter video game being developed and published by Ubisoft, being developed for Xbox 360, PlayStation 3 and Microsoft Windows. Read More…. 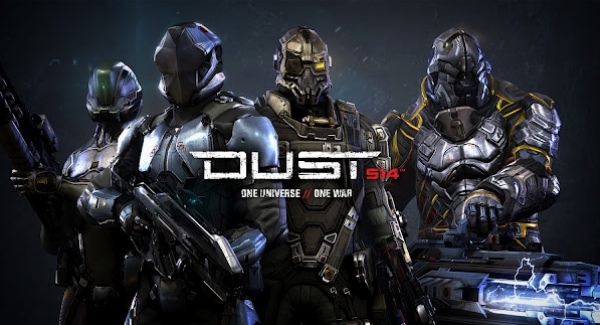 Dust 514 is an upcoming free-to-play console based first person shooter video game developed by CCP Games, exclusively for PlayStation 3. 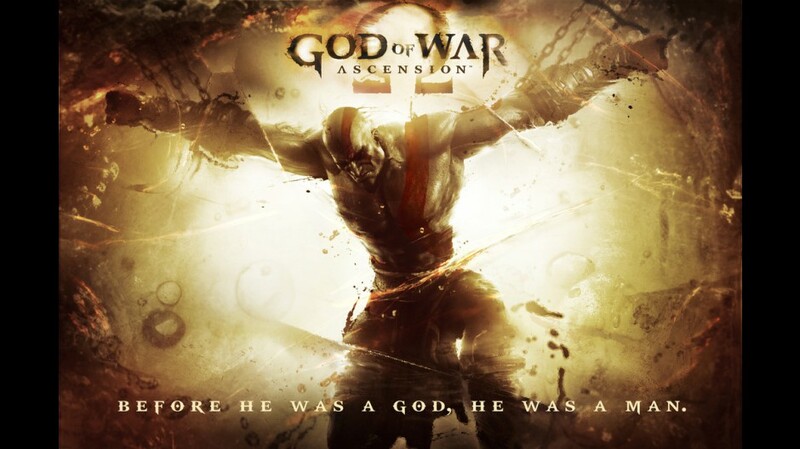 Its massive elements make the game superior; up to 47 players can experience the gameplay via PlayStation Network at no additional cost. Read More…. 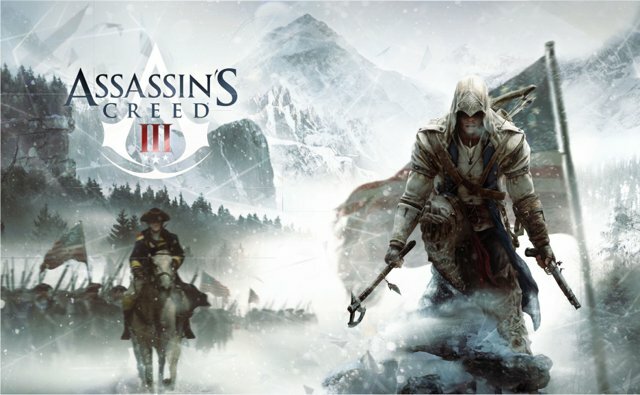 Assassin’s Creed III is an upcoming action-adventure video game in Assassin’s Creed Series being developed and published by Ubisoft.ssassin’s Creed III will be the fifth major addition in the Assassin’s Creed series. It is scheduled for release on October 30, 2012. being developed for Xbox 360, PlayStation 3, Wii U and Microsoft Windows. Read More…. BEFORE HE WAS A MAN, HE WAS A GOD. 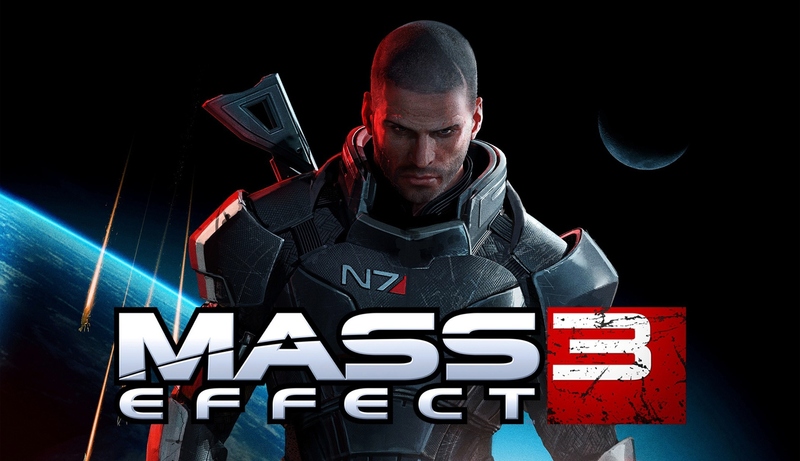 An action role-playing game developed by BioWare and published by Electronic Arts.It is available on Xbox 360, PlayStation 3 and Microsoft Windows. 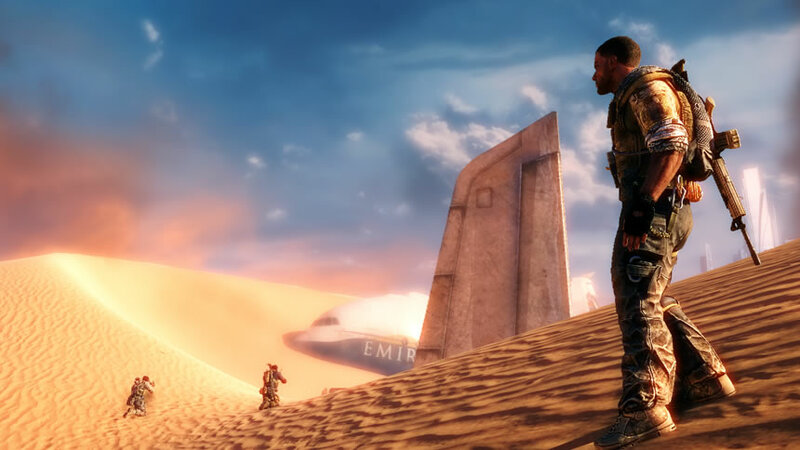 A multiplayer co-op option has also been introduced in Mass Effect 3. 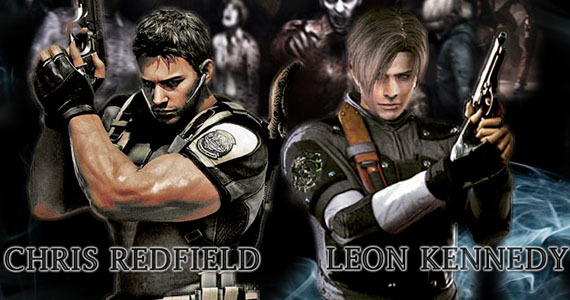 Read More…..
Resident Evil 6 is an upcoming dramatic horror video game developed and published by Capcom.Players will have the new experience of darkness alive with unprecedented horror and.. Read More…. 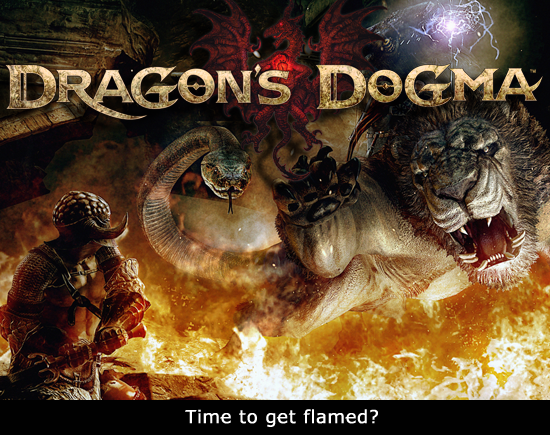 Dragon’s Dogma is an action role-playing adventures game developed and published by Capcom. 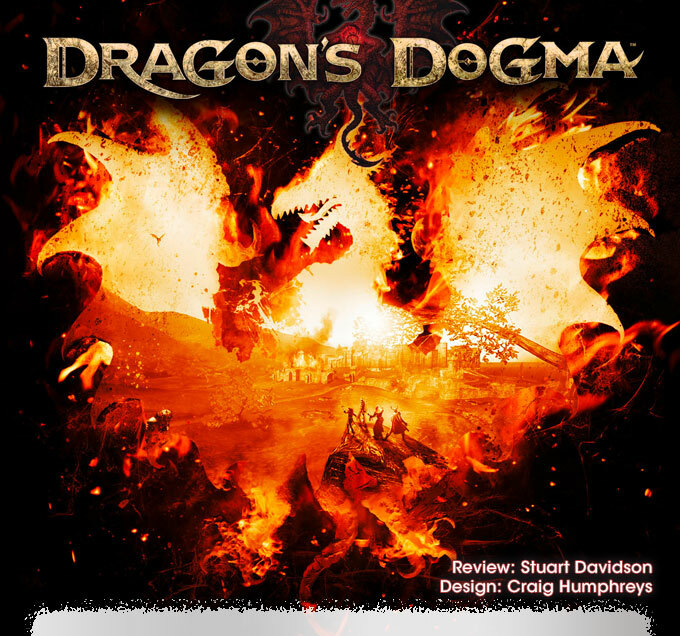 It gives you the immense gameplay, seems pretty much like combating against the real-life dragons… Read More…..
A whole new racing-striking video game published and developed by Codemasters for Microsoft Windows, Xbox 360 and PS 3. It is actually a part of the Colin McRae Rally game series. Read More…. It was developed by Naughty Dog and published by Sony Computer Entertainment exclusively for PlayStation consoles. Uncharted is an award-winning action adventure platform video game.Uncharted series is nourishing combination of action-adventure and platform elements with a third person perspective. Read More…..
Assassin’s Creed III is an upcoming action-adventure video game in Assassin’s Creed Series being developed and published by Ubisoft.ssassin’s Creed III will be the fifth major addition in the Assassin’s Creed series. It is scheduled for release on October 30, 2012. Being developed for Xbox 360, PlayStation 3, Wii U and Microsoft Windows. 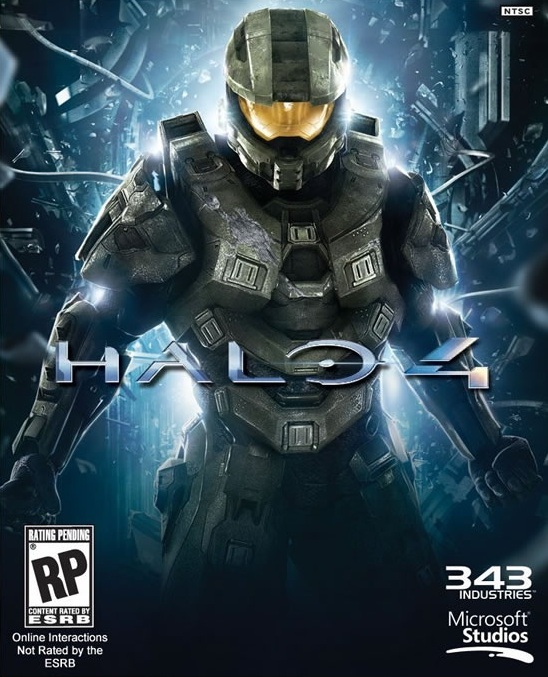 A first-person shooter video game and fifth installment on Xbox 360, one of the prime Xbox exclusive. Read More…..
A whole new racing-striking video game published and developed by Codemasters for Microsoft Windows, Xbox 360 and PS 3.It is actually a part of the Colin McRae Rally game series. Read More…. Disney Pixar Cars 2 offers the players global high-speed racing adventure with its splendid stereoscopic 3D gameplay.Disney Pixar Cars 2 offers the players global high-speed racing adventure with its splendid stereoscopic 3D gameplay. Read More….. Counter Strike V1.6 : Counter-Strike 1.6 is a tactical first-person shooter video game developed by Valve Corporation in year 2000 and was announced as most played game by gamespy in 2008, there are still countless people playing this game all across the globe. It is a tiny program that allows gamers to play the online games over the internet. It generally creates a VPN (Virtual Private Network) across the internet and thus allows gamers to play online games; a person with Hamachi installed, can play network games across the internet directly with no server lag! Read More….. The First ever game on space with excellent graphics and exceptional features. The Angry Birds enter into a whole new world, Galaxy! chasing a giant claw that kidnaps their eggs. This time Angry Birds comes with the supreme powers. 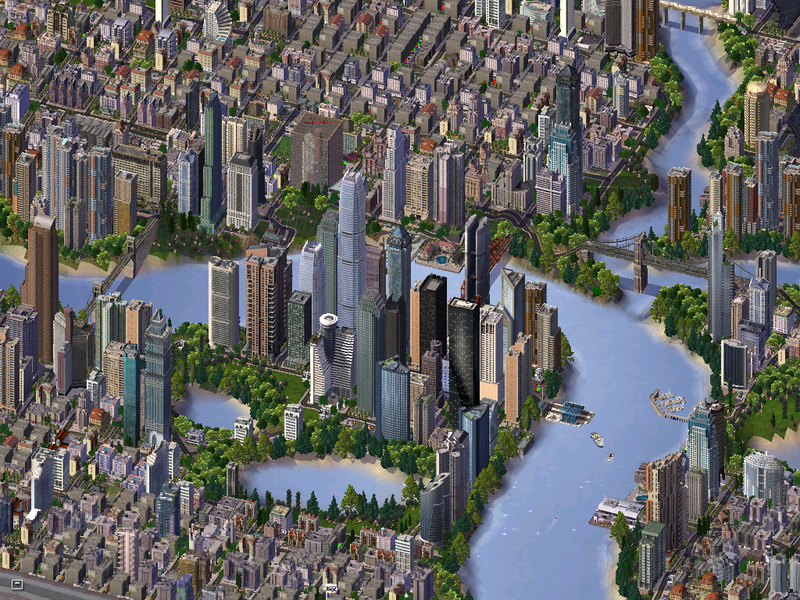 Read More…..
GameStar newer move is to leak out the concept-art which is the idea for the newer and upcoming series of the famous, fabulous and awesome game – SIMCITY GAME 6. Do you like to have a video game in which you are the engineer of your dream city by simulating the building and areas of it??? Then you would definitely like to see the brand new city construction and simulation by you. The developer of this simulation game is named as Maxis with the with the auxiliary of the Electronic arts on which the whole of the idea is based. You are the architect and have to plan according to your flavour for the development of different zones and placement of the buildings and developing of the roads and thus have to make your city beautiful. In Game graphics of finest quality that will be enough to be wondered by you are provided. Not over yet – many of the features are the new ones but also Maxis has to got the award for the introduction of the simulation engine that is also like a fresher but fantastic – GlassBox. Gaming audio has been attached by the game by its pulses via the simulation technique of the game. Microsoft Windows and also Mac OS-X are the two of the platforms if you have for the playing of the game. Visualization effects including the traffic and problems of pollution are fully justified in the game. Different zones are made for all of the works to be followed including the Industrial, Commercially available and that of residency related and they are like your daily lives. Terraforming is one of the scale for the civil-engineering measure. Both the Multiplayer option to play it as online game and Solo Player options are available to play the game and it depends on you which ever mode you want to select. Modules have been made that have been provided for the ease of functionality by the user. For example extra garages for fire station have been provided as per the safety purpose. Roads are not of linear types, so have fun of the non linearity. As the cities in reality are connected with high ways, water ways and rail ways, same is the case here. The official date has been set up in the month of February in 2013 and that is also the most important thing to be noted by the fans. And the popularity can be judged by the fact that the official announcement has been made very early on 6 March in 2012. 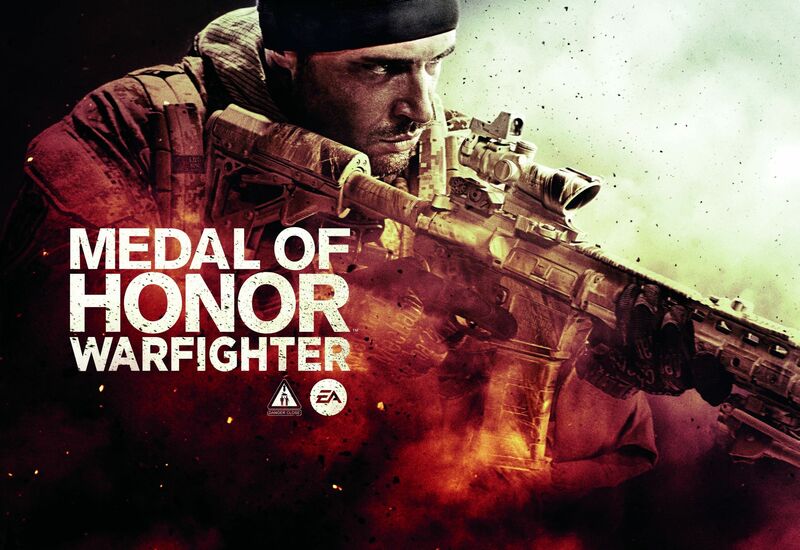 And the publicity stunt has not over yet with releasing of the 2 of the trailers of the game in the Electronic Entertainment Expo that has been held in 2012. Avengers Initiative is the Adventure game that is available in all the famous App Store. The game has been developed by the Wideload Game and the initiative for the publication of this famous game has been taken by the famous Marvel Entetainment. The game has been inspired from the Infinity Blade and thus will be liked by most of the game players if they like that. 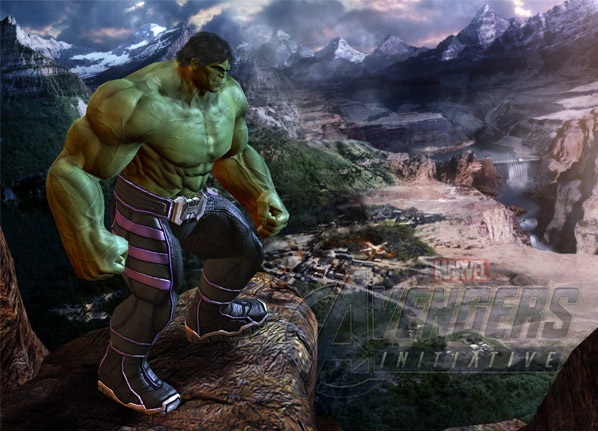 The player will get a wonderful chance of playing the role of the Hulk who is generally favorite of most of the games and movie fans. If you are getting the role of the Hulk to be played, then you will be given some of the responsibilities to be handled out. The responsibilities includes the work of cleaning of all the super villains that are making bad impact there and are very powerful also. And the cleaning of the S.H.I.E.L.D. Heli-carrier also including the other areas where the villains also present. This game is available for the touch screen users and thus you are able to play the game with the help of swiping in the left and right directions for cutting out the attacks of your enemies. 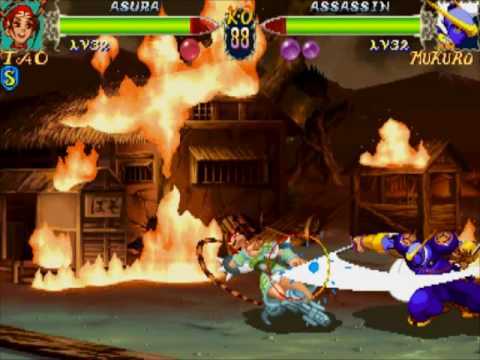 Further, you are able to add some of the other moves by slashing on the screen in the way of your own and thus fight in your own way. There is one of the block button also provided which can be used when you want to clear out all of your enemies at one instant. The game is available for the selected number of the iPhone, iPod Touch, iPad and the Android phones including the HTC One X, HTC Evo 4g, HTC Incredible 4g, LG G2x and LG Nitro HD. 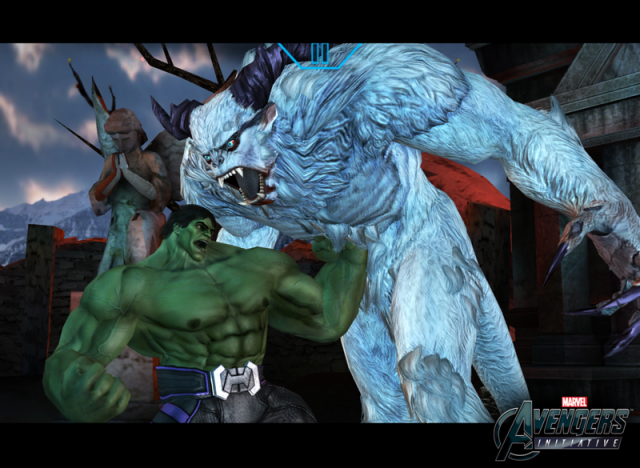 Avengers Initiative is a touch screen brawler in which a clustering of the newer skills has been added up. You may purchase the game if you want to pay 6.99 USD that has been set up its cost. The characters have been characterized interestingly and with a great sound effect that will make it more exciting. You will find lots of locks or secrets that you have to unlock with your own techniques. Perfectly time dodges have been introduced that let the players to be sneaked out in the fasten counter attack. If you have liked Avengers Initiative App and want to play it, then you just have to click DOWNLOAD. The main thing of this interesting game is to run for the saving the life of the player that makes it more interesting. The story begins after the player has stolen the cursed statue of God from the Temple and now Evil Demon Monkeys are following you for imprisoning you and for pinching you. Now comes your turn and work and that is to escape from their reach. 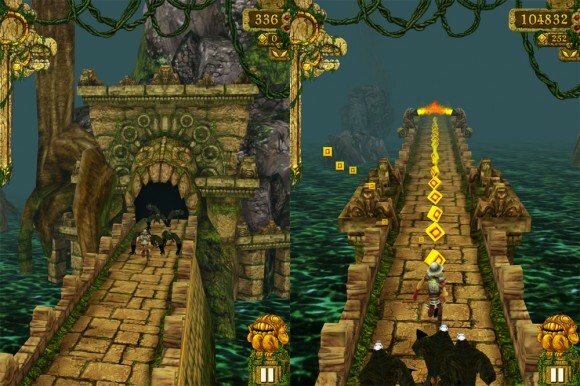 Actually the game depends on how fast you runs along with all the obstacles including one of the monkeys that are tempered from your action of stealing the tomb. You have to test your impulses while running down the walls of the antique temple and along the pure rocky cliffs of it. You are given the choices of jumping, sliding and turning for avoiding all the barriers and buying the powers along with the most important thing of collecting coins for increasing your chances of survival. There is an option of unlocking of ways of moving to next level and increasing your speed of running. 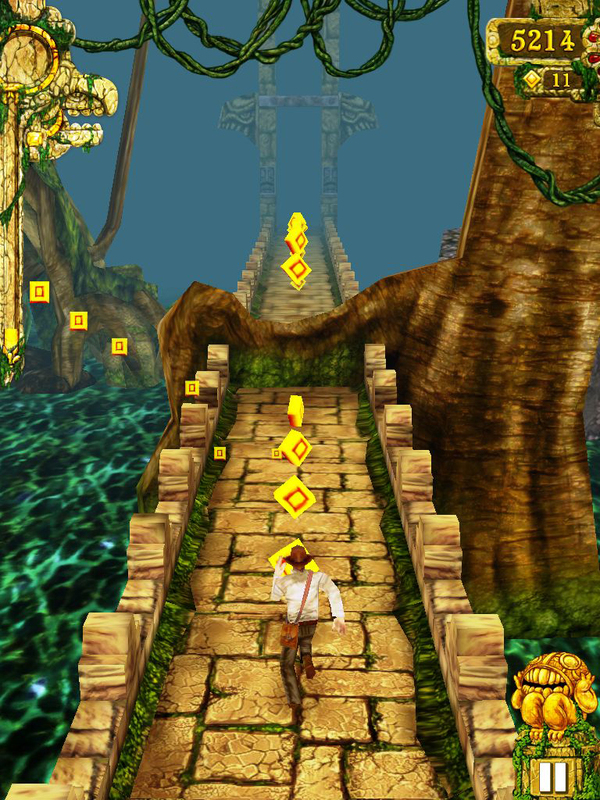 Temple Run Online is a new facility provided to you for playing this online game free of cost from the browser of your own. This game has become so much popular that Android, Xperia X10 has provided the facility of this game in their apps which you can easily play and share with your friends after beating their scores. To share games with friends follow us on Facebook and Twitter. 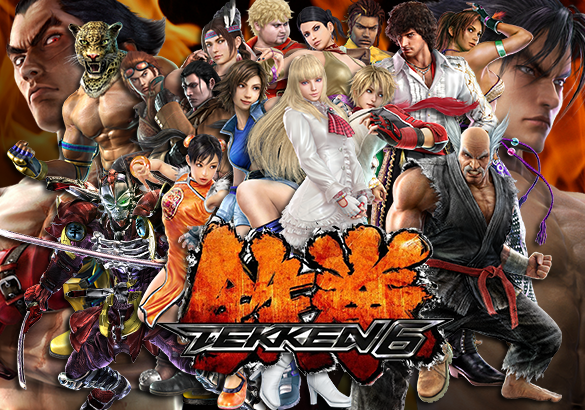 One of the famous franchises that have amazed the world with its series of the most popular pc games and have made a record of selling of thirty three million of its units all over the world is – TEKKEN. 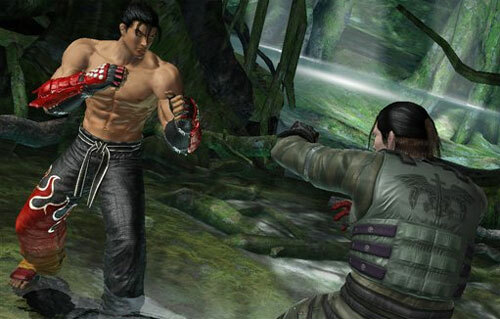 One more of the addition has come up for the series and that is ‘TEKKEN 6”. The characters in this series are made to fight at an implausible speed with a story line that is very immerse in which the characters are featured to have distinguishing behavior. The franchise has been started within 1994 with a version of arcade and has become very famous since then and it has given a line of the adventurous previous series. 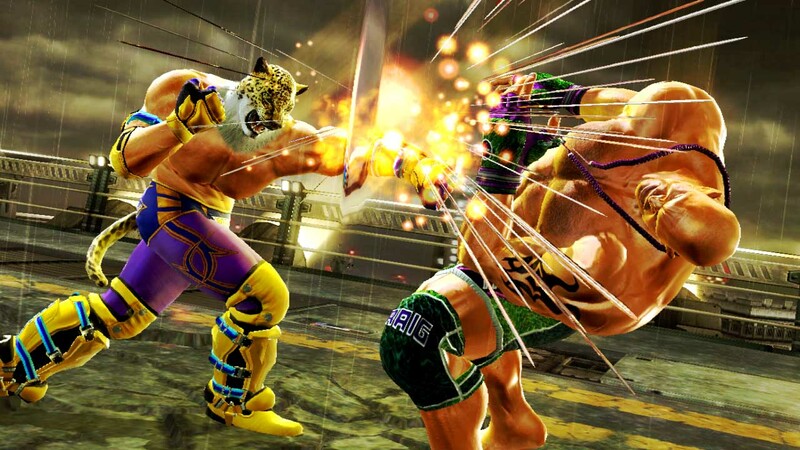 Tekken 6 has started up the beginning of the game on multi platform. Graphics – The new and advanced gorgeous HD have been used with animation of 3D and high definition of graphics which have never been used before. Largest Character Roster – The martial arts styles of the world that have never been used before with forty different fighters or players have been used. Kazuya, Heihachi and Jin are among the old 34 characters and six of the new characters with different fighting style have also been added. Globally Compete and Battle – You can add up globally by playing with the VS mode or you may have an option of playing with the friends of your choice online with against the enemy of A.I. New Action Game Mode – A brand new Scenario Campaign Mode has been launched in Tekken 6 by which you can take the experience of battles of large scales. Customizing endless possibilities are provided in the game for you so that new characters can be customized with new details that are in your imaginations which may include tattoos, accessories of fashion, apparel and hair styles. Interactive, Destructible and Dynamic Environment is provided for punching the enemies on the walls of concrete or for kicking your enemies so that a new battle ground can be made. 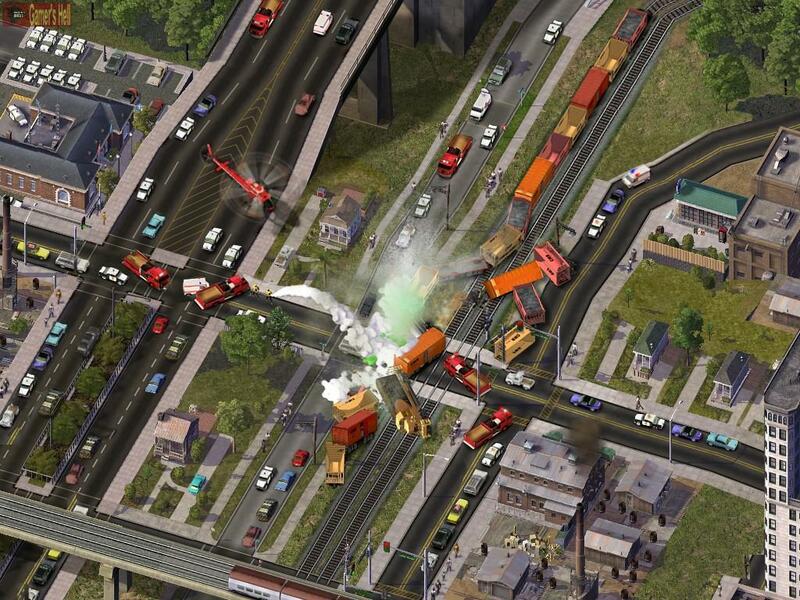 The changes that are made in the game are on dynamic basis occurring one after the other like a sudden explosion of vehicles after a crash of helicopter. Power is the phenomenon by which you are able to survive in the game and can be considered as one of the law of Tekken for which all of the players search for… So play for this action game for the POWER..